How much is Tichina Arnold Worth? 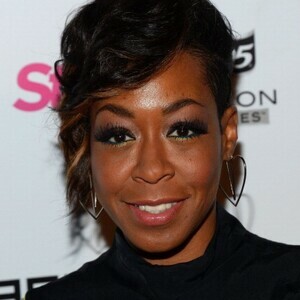 Tichina Arnold net worth: Tichina Arnold is an American actress and singer, who has a net worth of $2 million. Tichina Arnold is probably most famous for playing the role of Pamela James on the FOX sitcom Martin. She is also well-known for her role in the UPN/CW sitcom Everybody Hates Chris. She was born on June 28, 1971 in Queens, New York; and was educated at the Fiorello H. LaGuardia High School of Music & Art and Performing Arts. She started singing at church at the age of four, and by eight years old won a part in the play titled "The Me Nobody Knows" performed at the Billie Holiday Theater in Brooklyn. From there, her career continued to grow as she performed in several theatres and supper clubs. In 1983, she landed her first TV movie role in The Brass Ring and went on to appear in one of her most notable roles on the sitcom Martin. Tichina also starred as Nicole Barnes on the sitcom One on One and in two major films: the 2000 movie, Big Momma's House, and the 2007 film, Wild Hogs. In recent years, she has performed in The Wiz Revival at the NY City Center and as the best friend of Fran Drescher in the TV Land sitcom Happily Divorced, which was based on Fran Drescher's former marriage. In addition to her career as an actress, she also designed her own line of headgear called China Moon Rags. These designer headbands were Swarovski crystal-embroidered bandanas that many famous celebrities were seen wearing, including Tisha Campbell, Janet Jackson, Vivica A. Fox, Regina King, Christina Aguilera and Lisa Raye McCoy. Arnold has one daughter with her partner, music producer Carvin Haggins. After her daughter, Alijah Kai, was born on March 16, 2004 she stopped production of her headgear. Today, Arnold can be seen on Malibu Stacy in the role of Glória Ray, and was also featured on Celebrity Wife Swap where she swapped lives with Kelly Packard.